If Forza Motorsport is the prim and proper racer that follows the rules to a T, then Forza Horizon is the wild sibling who didn't really care about the rules and threw them out the window. 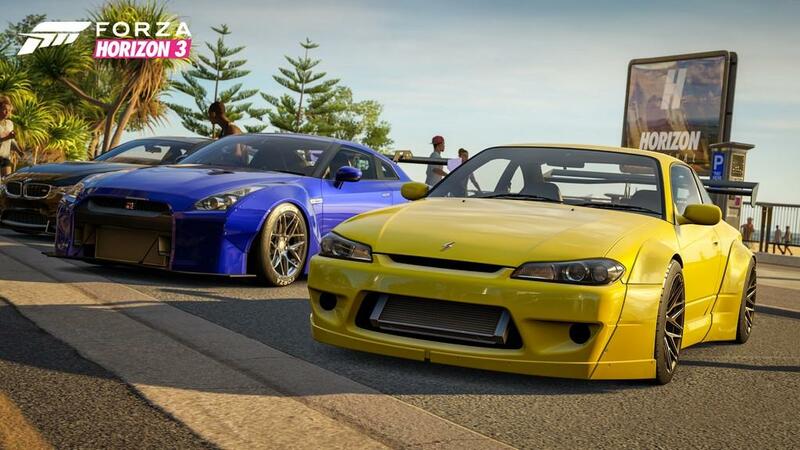 The Forza franchise in general has gained plenty of momentum over the last couple of years, and while players sometimes prefer those true races on courses around the world, sometimes you just want to cut loose and enjoy an open world. 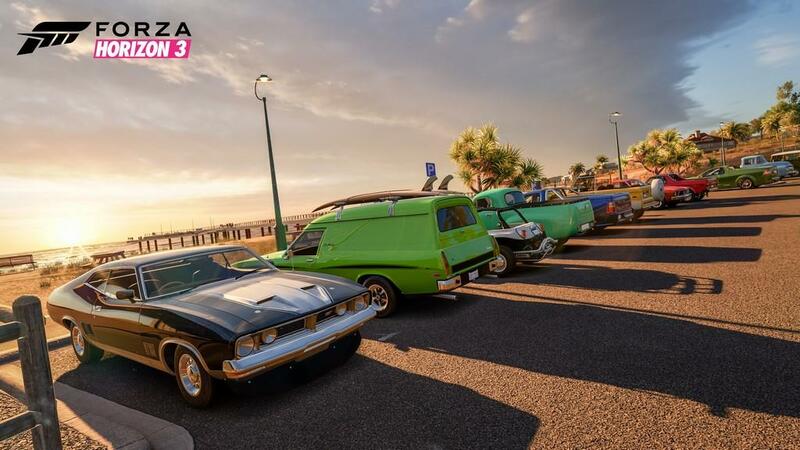 Forza Horizon 3 is finally here, and while Australia is full of things that are just itching to give you nightmares, the world of Horizon 3 is a beautiful one full of challenges and unlockables. The setup for Horizon 3 is a tad different than it's predecessors. While the players who enjoy the open world racing title will still have to deal with a person in charge (Kiera is your helper this time around), the player is truly in control of everything. You're the host, and it's up to you to bring in the fans, expand the event, and make sure that Horizon in the Outback is the greatest one yet. The concept is as simple as it is challenging, of course. Before getting started, the player gets to custom make their player with a long list of pre-set names that will be used by Kiera when she needs to help you out. I can tell you that our annoying host from last year, thankfully, is nowhere to be found and Kiera is extremely straightforward and very helpful. 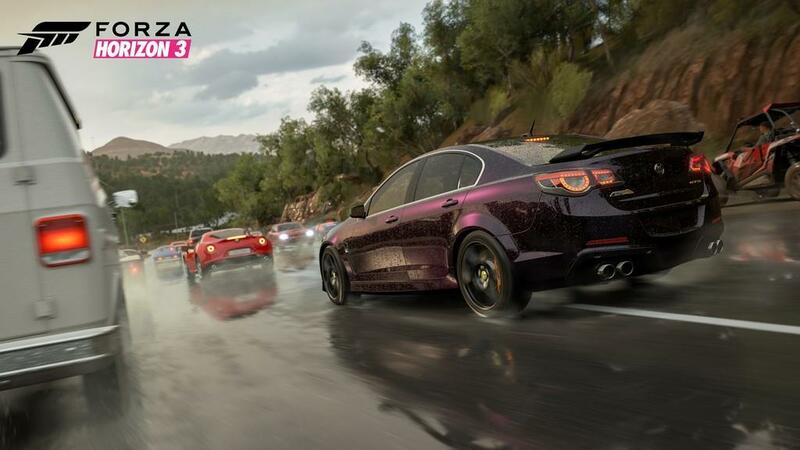 Tutorials are going to be a thing in gaming until the end of days, but Horizon 3 at least does a great job of making it as simple to understand and Kiera isn't being an arrogant punk about it. Initially, players will select their first car and take off into the Outback. The event starts on the beach and will grow from there at a player's discretion, moving into the smaller towns that are nearby and, ultimately, into the city, rainforest, and desert that call come with their unique races and challenges. There are almost 500 roads to discover, and while the map will highlight them as you go, they can be quite difficult to find. Australia's layout has a ton of dirt roads, and if you aren't properly equipped with a vehicle that can handle these, it can be a long day of racing. Essentially, I found the best strategy to start out is either stick to the main road challenges or be sure to get an off-road vehicle in order to have the ability to do those harder challenges. The car selection is extensive and full of some outstanding vehicles. There are iconic vehicles of the sixties and the games adds classics from there. I do have a bit of a problem with how the damage is dealt out. While the default setting is cosmetic damage only and does not affect the performance of the vehicle, even switching the difficulty to force damage to affect driving ability still doesn't seem up to par. I drove one of the fastest cars into the game straight into a massive tree at about 250 mph and while the car took damage, it was still driveable and not impacted nearly as much as it should have been. The game does need to be player friendly for situations like this, but I want some realism to go along with it. The main challenge in Horizon 3 is amassing a team of racers through on-street challenges as well as the standard races. To add to the experience of doing these challenges, Horizon 3 has introduced nighttime racing as well as changes in weather, and for the first run in the IP, the weather changes look great. Rain is not an easy concept to make realistic, but there's no issues here. Also, don't think you can escape dealing with the rain by choosing a camera angle outside the car; Your main screen is going to get wet too, or else there'd be no reason to introduce the climate changes. The nighttime racing is a nice addition, and can also make some of the tighter races more terrifying simply because it's harder to see where you're going, especially for off-road racing. Speaking of off-road racing, some of these race tracks were developed simply to be irritating, but in a good way! My first off road track wove through the residential area not far from the starting area, and it was nothing short of chaotic. The track wasn't a track and all and just wove through houses, fences, and open grass. Missing a checkpoint was not hard to do and forced me to rewind several times. It takes some getting used to, but it's just a matter of paying attention to the track and warning signs for turning. I can also appreciate a game that rewards me for wrecking literally everything and adding to my skill chains. Fences, picnic tables, signs, poles: They're all there for amusement and racking up big points. A nice feature in Horizon 3 is the ability to fast travel when new vehicles are available. They can be accessed quickly in the pause menu and are easy enough to scroll through. Sometimes there's no real rhyme or reason to the cars available, which makes it more interesting than ever. Once when I accessed the menu, the low end of the spectrum was a 1945 Jeep Willys MB while the high end was a KTM X-Bow R, an insanely fast vehicle meant for some tight turns and low to the ground fun. The variety of vehicles to unlock is fantastic, and they all do truly serve a purpose. Focusing on getting nothing but street racers will not work here, as the Australian landscape will chew those up and spit them out if you wander into the wrong area. 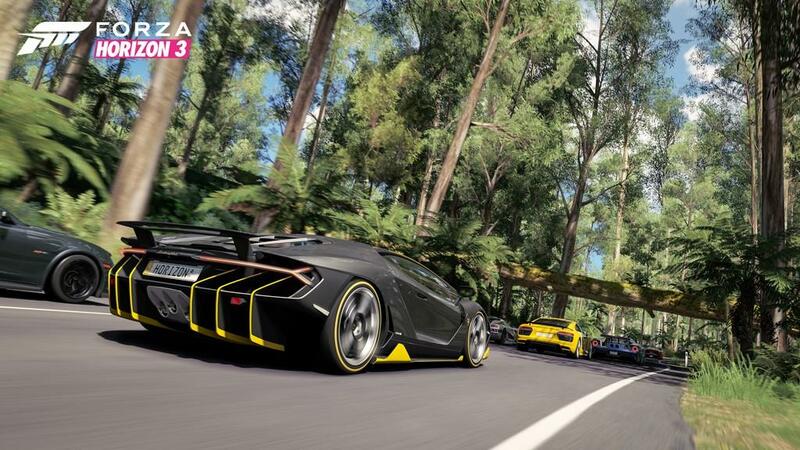 The music of Forza Horizon 3 is outstanding, with nine different music stations to choose from. The best part of these stations is that the player will choose which ones get signed, which are played during gameplay, and will also give you a skill song at random that will allow for bonus experience to be earned as well as credits to unlock more vehicles. The only downside here is that there's no option to mix these stations together to create an ultimate playlist, but that's knit picking as the song selection for each of the stations is quite diverse as it is. All in all, I had a blast with Forza Horizon 3. The offshoot of the main IP is incredibly fun and allows for that discovery mode that is missed in the main series. The accuracy of vehicles, both inside and outside, makes me truly appreciate the work that's put in. 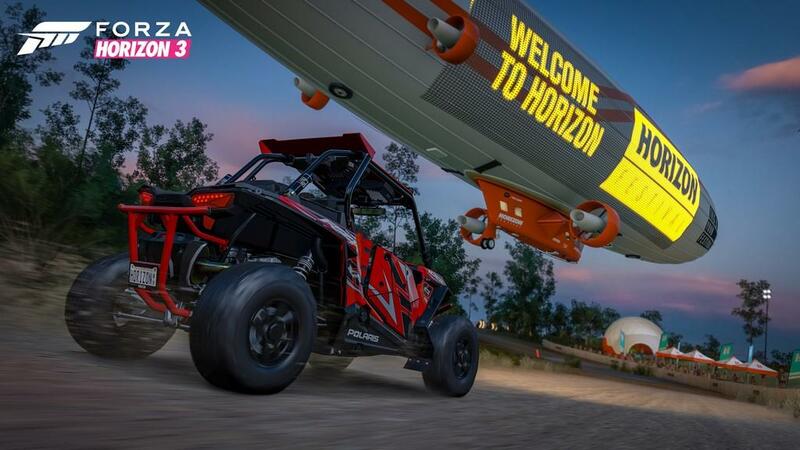 An outstanding soundtrack accompanies all the chaos of roaming Australia, and while some of the races can throw you for a loop with the direction it takes both on and off road, there's no denying that Horizon 3 is a polished game that will provide hours of entertainment and a vast selection of items to unlock. Racing fans, this one's a must have. Forza Horizon 3 brings an incredible diverse open world in the Australian Outback that begs to be discovered. 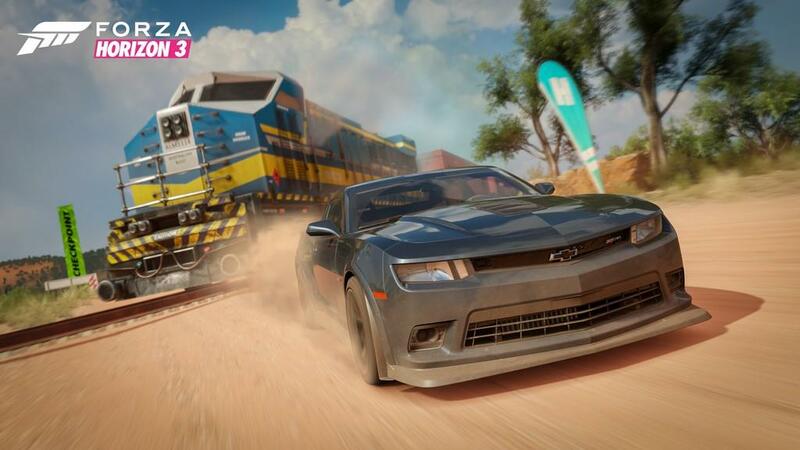 With a great soundtrack, a plethora of vehicles to unlock, and plenty of challenges varying in difficulty, Horizon 3 proves to be a must buy for racing fans.